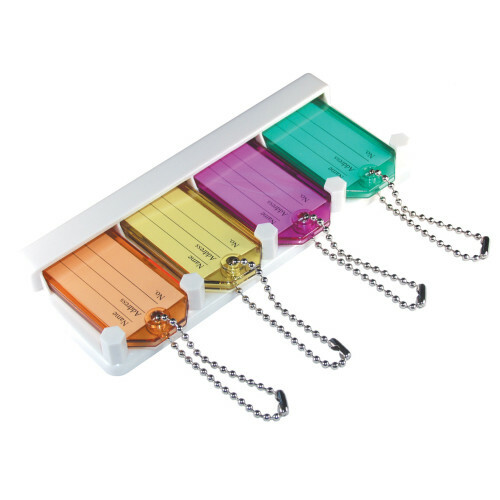 Label and organize your keys at home, school, or at the office. 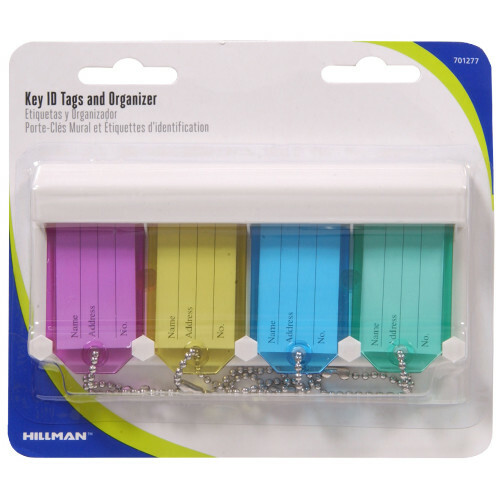 Tags come in assorted colors so you can spot the key you need at a glance. The sturdy organizer can be installed using the adhesive pads included or by using the pre-drilled holes to screw the organizer into a wall.